When it comes to horse feed, it’s what goes into a bag that determines what your horse gets out of it. And here at Castle Horse Feeds we put the best possible ingredients into every bag of feed we produce. The reason for this is simple. We do it because we want what’s best. We like to live well and eat well and we want the same for our horses. And our horses are Castle horses. The phrase ‘quality without compromise’ may sound like another marketing soundbite, and perhaps it is. But it’s something we live by and it’s a mission that our production team lives up to. We select only top quality raw materials, using locally grown sources wherever possible, ensuring that our base formulations are of the highest quality. Our expert nutritionists balance our feeds according to type using Zinpro Performance Minerals® which are designed for optimum absorption to deliver the nutritional benefits horses require. And we use an advanced digestive aid which has bio-availability to promote beneficial bacteria in the hind gut, improve gut integrity and support a balanced, more efficient immune system. It’s a well-used phrase – you get what you pay for. And with many other high quality products, this can be used to justify relatively high prices. But perhaps one of the first things you may notice about the Castle Horse Feed range is that our prices are surprisingly low. Again, the reason for this is simple. We do this because we can. When you pay for a bag feed for your horse, you’d expect the majority of what you pay to go towards what goes in the bag, right? Well unfortunately, with most major horse feed brands this isn’t the case. This is because there are too many steps between raw ingredients being harvested and the feed arriving in your feed bin. At Castle Horse Feeds we go about things differently. Instead of paying someone else to make most of our feeds for us, we make them ourselves. Instead of paying someone else to store the feed for us, we do it ourselves. And instead of paying someone else to manage distribution to retailers and feed stores for us, we do it ourselves. And we’re very good at what we do. After all, Castle Horse Feeds is part of the Hay & Brecon Farmers’ cooperative that has been supporting farmers and land owners for over a century! What this means is that not only do we retain full control over production and distribution of our feeds, whilst also benefiting from a short and cost effective production chain. It allows us to invest the money we save into better quality ingredients for your horse, whilst also reducing the price you pay. When it came to formulating the Castle Horse Feeds range, our nutritionists were on a mission to provide choice, without overwhelm or confusion. Our range offers you the flexibility to choose exactly the type of feed your horse needs, whether that’s a premium quality balancer or a cool, condition or performance mix. Maybe your horse is a cube dude and isn’t too mad about mixes? No problem, you can choose. We also offer a nice choice of flavours, from mint to cherry to our tropical banana. As a result, you can be sure your Castle Horse Feed is not only packed with nutritional goodness, it’s also a feed that your horse will love to eat. After all, they don’t always know what is good for them! What we’re trying to say is that none of our feeds are solely based on marketing hype. Rather each feed stands firm to provide a quality, nutritious and tasty blend, for the health, wellbeing and enjoyment of your horse. Our history goes back to 2001 when the first bag of Castle Horse Feeds was formulated, blended and packaged at our Hay on Wye countryside mill, nestled alongside the spectacular River Wye on the Welsh borders. Part of our mill occupies a beautiful old Victorian railway goods shed, complete with original thick brick walls and lovely brick corbelling. Erected in 1862 as part of the Hay & Brecon Railway, this building also houses the Hay & Brecon Farmers head office and so acts as mission control for this busy farmer owned cooperative, which is one of only three left in Wales. Hay on Wye is the site of what remains of a very early motte and bailey castle and is the inspiration behind our brand – Castle Horse Feeds. The present castle in the town was built around 1200 and boasts the oldest Norman tower in Wales. Hay on Wye is also famed for its unrivalled range of book shops and this ‘Town of Books’ attracts literary fans from all over the world each year for the world-renowned Hay Literary Festival. With literary lovers, poets, thespians and even an occasional American ex-president gracing the town with their presence, we can’t help but be very proud of our roots in Hay on Wye. In 2016 Castle Horse Feeds joined forces with Smart Horse Nutrition, a new feed brand to the market and one which had a completely different way of looking at feeding horses. Smart’s approach to feeding horses came from the premise that your horse already receives a substantial proportion of the nutrition he needs, before you ever mix anything in a bucket. This is thanks to the vast quantities of forage he consumes on a daily basis, which is something that horses have evolved to do. In a mission to create the perfect horse feed for optimum equine health that would also save you money, Smart formulated its feeds based on what was missing from a 100% forage diet. This essentially boiled down to two things: micro nutrients (key vitamins and minerals that are unlikely to be in sufficient supply in your forage) and macro nutrients (protein and energy), that are needed for reproduction, growth and an intense work load. While the majority of horse feed companies tied these two elements together in their feeds, Smart’s nutritionists formulated a range of feeds that keeps them separate, so you can adjust the quantities fed to exactly suit your horses and their individual needs. And since our partnership we at Castle Horse Feeds have extended many of the performance principles of Smart Horse Nutrition across our entire range, so you have access to the best quality nutrition, no matter which feed you decide is best for your horse. 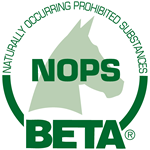 We’re here to help ensure your horse receives the best nutrition possible for health and performance. We’re here to help you decide which feed is best for your horse. We’re here to help get you the feed you need, when you need it. And we’re here to help you save money. So, if you have any questions at all, please do get in touch.